House plaques in a variety of styles available. Handpainted with the design of your choice, including number and/or name. Why not include a portrait of your favourite pet? 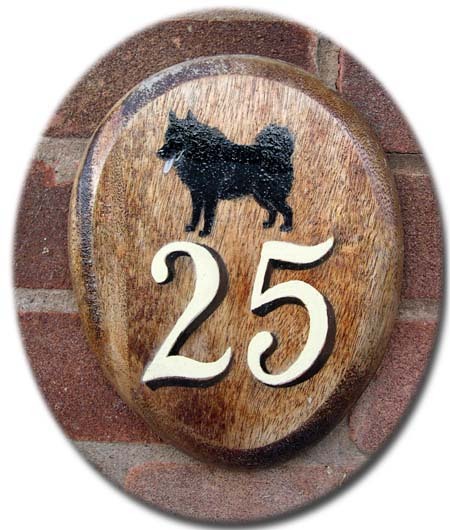 Price includes house number or name and picture, all handpainted. gives example sizes and prices.